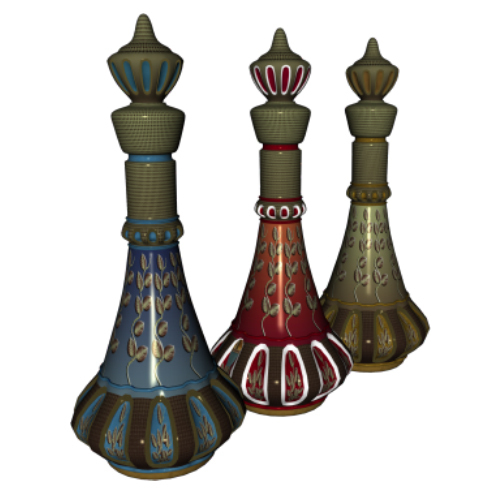 Imagine picking up an old brass lamp from a flea market. It’s pretty, but tarnished. You take it home, pull out some polish, and begin rubbing away at the stains. Suddenly, a puff of smoke… a genie appears, all decked out in a turban and silk pants. He is prepared to grant you three wishes for releasing him. What do you ask for? But do these things really make us happy? Celebrities have beauty and wealth, yet we constantly read about celebrity divorces. Beauty, fame and wealth did not guarantee them lasting love or secure relationships. Many extremely successful people are miserable. While it’s true that a certain amount of wealth makes you happier, it drops off once you have enough money to stop worrying about paying your rent or putting food on the table. But what about a huge change in life circumstances? Do you think winning the lottery would make you happy? It would, for a little while. Researchers studied the mood effects of both lottery winners and people who became paraplegic after a devastating accident. They found that while these life-changing events initially changed happiness levels, well-being returned to baseline after just a few years. You might be wondering how winning the lottery could possibly have no greater chance of making you happy than becoming paraplegic. The answer lies in the human tendency to adapt to circumstances… Simply put, we get used to things. Beyond that, people have an urge to improve, to fix problems, to make life better. This can be a good thing (we have gone from living in caves to inventing microwaves and air-conditioning), but can also make us unhappy, since we are often much more focused on what we don’t have than what we do. The secret to happiness, then, lies in perspective. Or more specifically, gratitude. I realize this may sound preachy, or guilt-inducing (“You don’t want to eat your peas? You know how many starving children would love to have peas?”). But the truth is that always obsessing over everything you wish you had is the path to misery. Think of something you don’t like about your body… let’s just say, for example, you don’t like your thighs. You look in the mirror sometimes and just hate on your flabby, dimply thighs. Why can’t I have those lanky, coltish thighs like supermodels, you might think, That look awesome in short shorts and never jiggle when they walk? Now imagine you get in a devastating car accident and have to have your legs amputated. Now you have no thighs. You’ll never walk again. You’ll never run through the shallow waters at the beach or dance at a club or climb stairs. You remember lovely walks in the woods, dancing with your lover, and ache to be able to move so easily again. I bet you wish you had your thighs back. Bet you wouldn’t give a crap what shape they were. It’s all about perspective. Why miss your thighs only after they are gone forever? Why not appreciate then now, when you are lucky enough to have them? 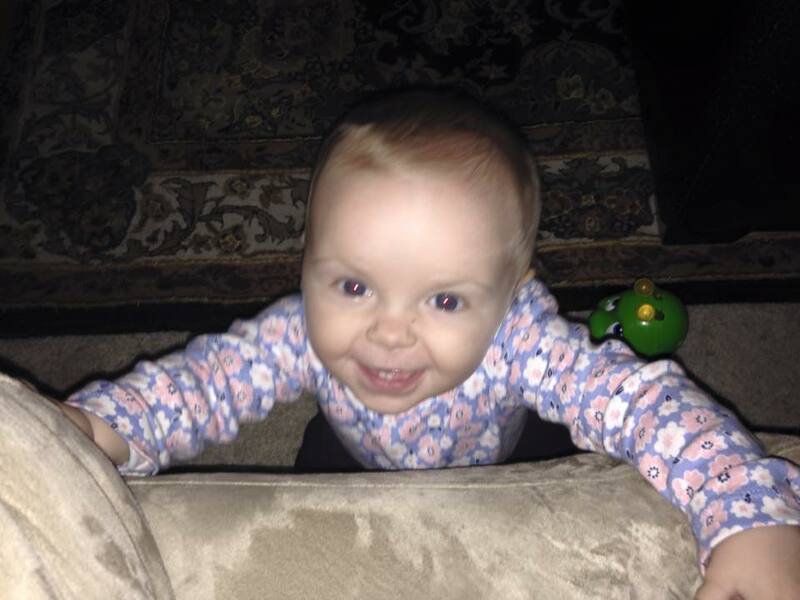 My daughter Bridget has been stuck in a baby’s body for months. She was helpless and bored. She couldn’t even flip over at first. She needed someone to move her, to feed her, to change her, to dress her… it was hard for her to even turn her head or put her hand to her mouth. I would watch her struggle, day after day, to wriggle her pudgy body and pull her giant head to the side. She would lay on the floor, stretching her arms and legs out with all her might, trying desperately to move herself, then collapse into frustrated wails. Pretty pleased with this new turn of events. Finally, one day she was writhing, face-down, when she worked her knee under herself and propelled her little body forward. She worked the opposite knee under her belly and propelled herself forward again. She kept at it, and suddenly she was crawling! She squealed in pure, unadulterated triumph. She crawled across the floor. She crawled back again. She crawled over to a toy and grabbed it, then erupted into endless baby giggles. She could crawl! In an instant, her world became exponentially bigger. My children are teaching me the secret to happiness. I’m not saying the secret to happiness lies in having children, though I love them dearly, but that watching their reactions to things we have long taken for granted is changing my perspective. 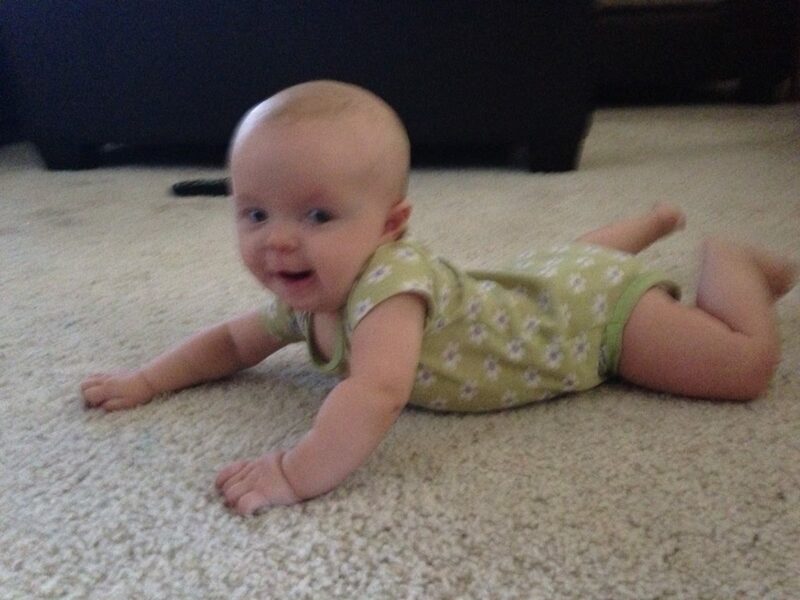 Being able to crawl, then walk across a room. Seeing a cat walk by and feeling its soft fur. Seeing the ocean for the first time. Snatching a forbidden cookie. All of these things bring my children ecstasy. The Secret to Happiness is already within us. We just need to remember.